In the previous two posts in this series, we’ve been primarily focused on the strategy the Kik team has around Kin and Kinit. But, we’ve not yet talked about something far more important — you! One of the most important aspects of any startup or product is the community, the investors, the customers — the people who make a piece of code something more. I’m not sure how many Kin holders John spoke with to reach his conclusion, but, being the data driven man that I am, I decided to do my own research. The following survey results are comprised of answers from a sample of 179 Kin users and community members. The users were sourced from Reddit, the Kin Telegram, my blog followers, and other direct outreach. While 179 users may not seem representative, statistical significance depends on the rate of answers in each individual question. 179 users is not enough to confidently say “A is better than B” if the votes are 51% vs 49%, but it is enough to confidently say “A is better than B” if the votes are 99% vs 1%. For sake of transparency though, let’s do our high level sample size and confidence interval validations. The general confidence interval calculation is that for 50,000 people (rough number of Kin wallets in existence), and an 80% confidence will produce a margin of error of ±5% with a sample size >164 users. The formula is below for anyone who feels the need to double check the math. 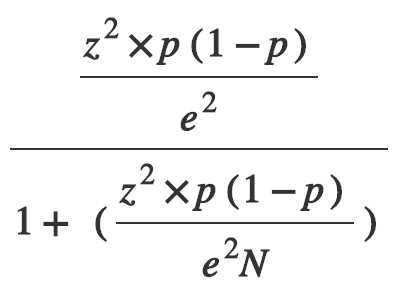 Sample size equation where N = population. e = Margin of error (decimal notation) and z = z-score. What this means is, if we had asked a Yes/No question to our 179 users and the answer “Yes” had 10% of the votes, we could expect that if we polled all 50,000 people then we’re predicting there is an 80% chance “Yes” would get somewhere between 5% — 15% of the vote, and “No” would get somewhere between 85% — 95% of the vote. Since the variance is so great, we can be confident that “No” was an overwhelmingly more popular choice even though we only polled a few individuals because the results were so strongly in favor of one of the options. Without further ado, let’s get into what the Kin community really thinks about Kin, Kinit, and even the Kik team. 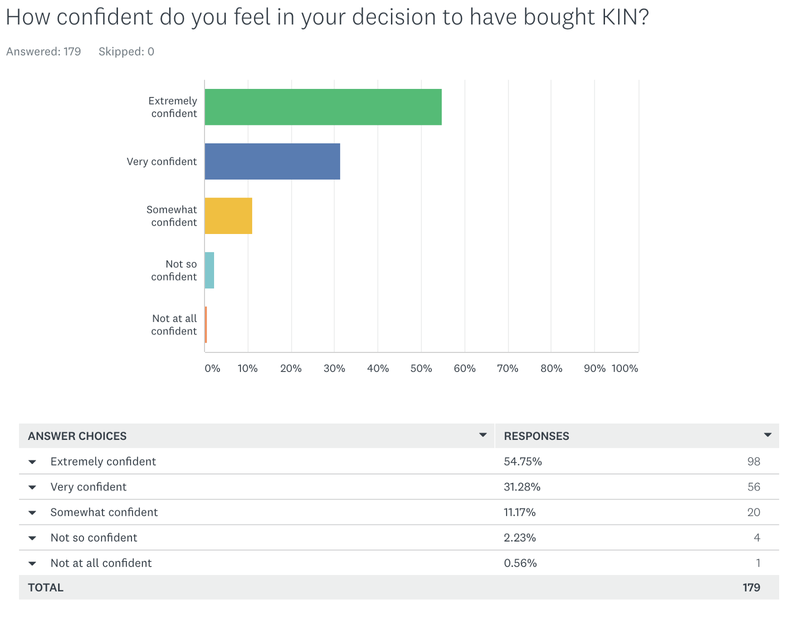 How Confident Are Users In Their Purchase of Kin? Right off the bat, let’s look at the general high-level sentiment and dispel this idea that Kin holders are overall unhappy with Kin. This leaves the dissenting votes at 2.79% who are not confident in their decision to make a purchase, and remember that is 2.79% ± 5% margin of error. But, the question above had an issue. 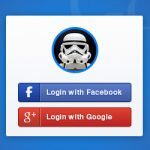 Not everyone has yet had a chance to experience the integrations in Kik or Kinit and so their mileage may vary. Later on, I asked a bit of a sneaky question about if and how users had used Kinit. This allowed us to filter responses so we could take into account users who might be using Kinit on an emulator device (therefore prone to more bugs), or Apple/Non-US users who may be unhappy that they aren’t involved in the beta. If we ask the same question again, only to users who have downloaded and used the Kinit app on their own US Android device, the numbers are even stronger. Now a total of 90.63% of users have responded as being “Extremely Confident” or “Very Confident” in their decision to purchase Kin. So not only, in general, are users happy with Kinit, but, simply getting to experience and use the Kinit app improves the confidence users have in the project. That already dispels the idea that users are disappointed in Kinit, but, we’ve got so much more data. Why stop now? 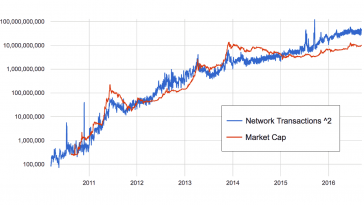 One of the biggest pain points with DApps right now is that they are complicated, clunky, hard to use and prone to issues like network congestion. 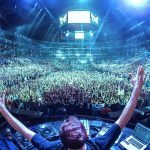 A lot of the Kin community is aware of this, as they’ve shown they’re avid users of DApps. 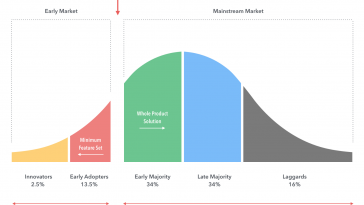 While there are very few blockchain or DApp products on the market, more than one third of Kin’s users have used another DApp in the past. Take a moment to drink that in. 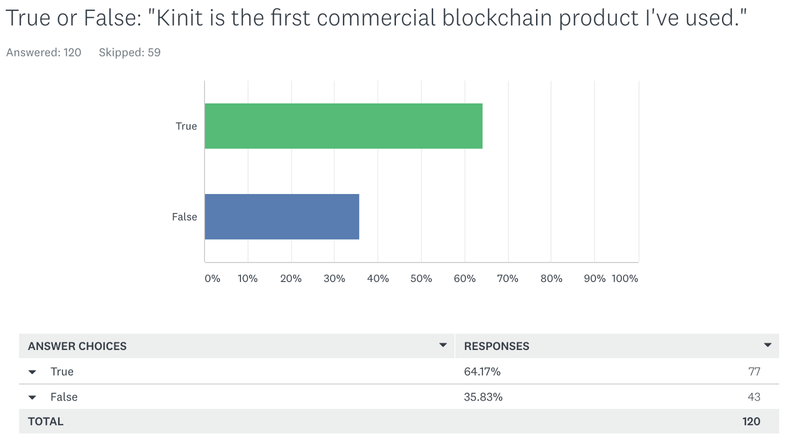 91.67% of respondents said that Kinit, is the first commercial product they’ve used that is easy enough for them to share with friends and family. Kinit is a great example of bringing a blockchain to the consumer market and crossing the chasm by creating a simple and obvious use case. 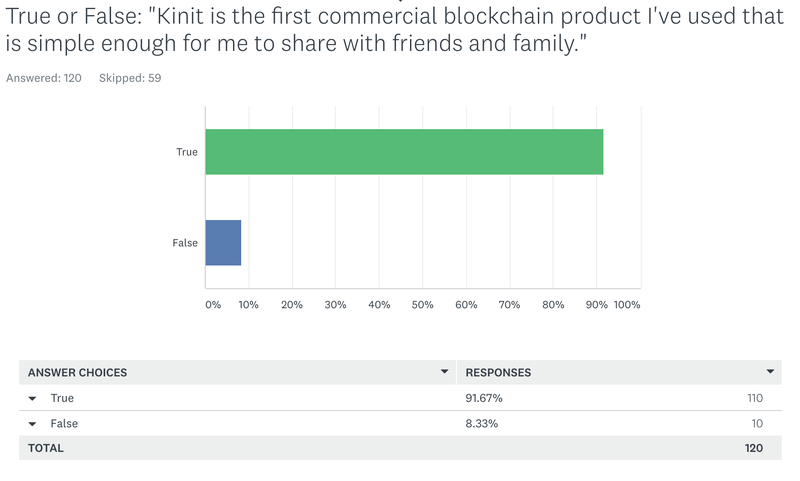 When asked “Based on the goals of Kin, how well do you feel Kinit’s beta represents a good first example of Kin use cases?” 86.67% of users thought that Kinit was an “Excellent” or “Good” first example of Kin use cases. 95.83% of users rate themselves as “satisfied” or “extremely satisfied” with the overall design and aesthetic of Kinit. 78.57% of users rate themselves as “satisfied” or “extremely satisfied” at the rate of which the Kik team has developed. 80.35% of users rate themselves as “satisfied” or “extremely satisfied” at the professionalism, involvement and work from the Kin Ambassador team. I wouldn’t be doing the survey justice if I only shared the good feedback that was received — the good news is that the bad news isn’t all that bad. But, there are a few consistent areas that the community indicated that Kin has room to grow. These concerns came up in multiple choice questions, and in the open answer feedback section. Users felt that more quality assurance testing could have gone into the Kinit app. The biggest feedback here was with typos. 15% of users were dissatisfied here, but, many more mentioned this as a reason for shifting from “Satisfied” to “Neither satisfied nor dissatisfied” on this question. Users had a lot to say about communications. 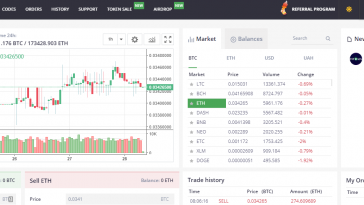 They’ve expressed feeling “left in the dark”, “being confused by mixed messages from community managers”, and struggling with information being shared such as “understanding KIN1 vs KIN2” and how that is unclear for users. The most common critique however was combating spam in Telegram. The Kin Community feels that the Kik team is moving at a good pace. The Kin Community is happy with the production quality of Kinit overall. The Kin Community is satisfied that Kinit represents a great early example of the potential of Kin.